Richard, S.M., 2000, Geologic Map of Arizona. 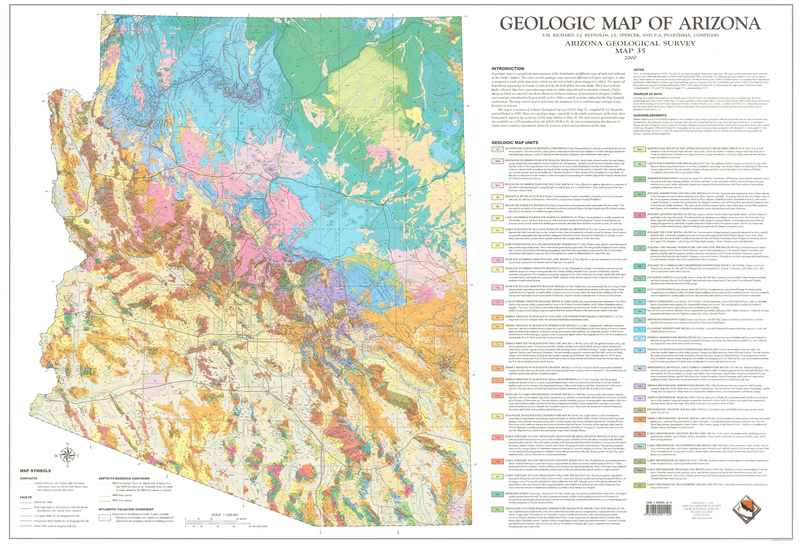 Arizona Geological Survey Map-35, 1,000,000 map scale. First published by AZGS in 2000.